Three names go conspicuously unmentioned in the new film adaptation of Moneyball: Tim Hudson, Barry Zito, and Mark Mulder. There are two ways to react to this omission. The first is to think that their exclusion is unacceptable for a film that purports to tell the story of the 2002 Oakland A’s. After all, the trio combined to win 57 games and pitch 675 innings to a combined 3.05 ERA that year. Zito in particular led the league in wins, en route to a Cy Young Award. Without those three, a team that won 103 games would have almost certainly missed the playoffs. The other way to react to their absence, though, is to realize that it is entirely appropriate. 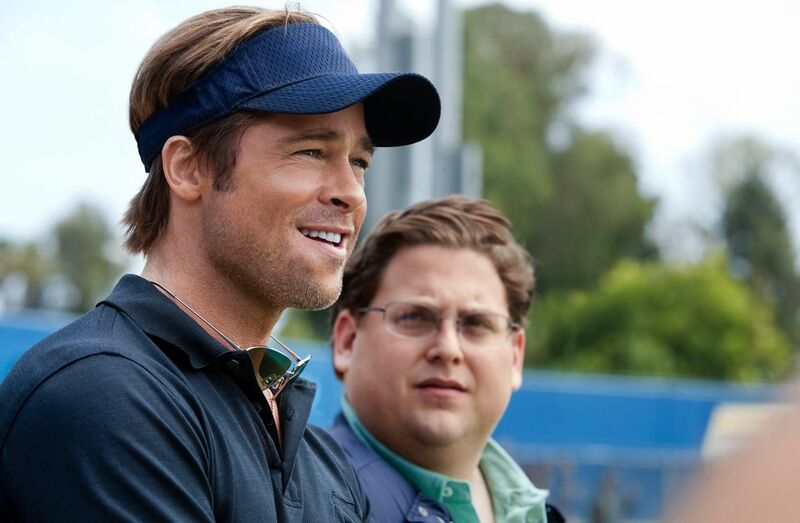 Moneyball is not really a movie about the 2002 Oakland A’s—it’s a movie about Billy Beane (played by Brad Pitt) and his radical reinvention of the game. And it doesn’t take much reinvention to stick with a trio that was coming off a 2001 season in which they won 56 games and pitched 678 innings to a 3.43 ERA. Moneyball, the movie, was released on Friday. Joe Posnanski and Roger Ebert opine. Meanwhile, Keith Law gives a not-so-positive review, and here’s some background on his relationship with Michael Lewis. The New York Times Magazine has a feature on Billy Beane. A Bay Area writer goes over the creative liberties taken by the movie. In non-Moneyball baseball news, this story looks back at the strange decline of Chuck Knoblauch. Taylor Branch’s article in The Atlantic on college athletics has been all the rage, spurring many to consider this a tipping point in the debate over whether college athletes should be paid. Frank Deford called it the most important article ever on the subject. Others weren’t as quick to heap the praise, including John Gasaway at Basketball Prospectus and Seth Davis at SI. Branch himself responded to Davis on his blog. The Columbia Journalism Review takes ESPN to task for its coverage of conference realignment. Hey, remember R.E.M.? If you don’t, read this 1987 story on the band. Louis C.K. talks with The A.V. Club about the second season of Louie. Penn Jillette discusses atheism, libertarianism, and his new book about atheism and libertarianism with Reason TV. An homage to Phil Hartman on what would have been his 63rd birthday. It reminds us of our own last year. A look inside an Amazon.com warehouse. Meanwhile, Bill Gates loves Amazon. The great Mariano Rivera, who not only Tim is in awe of, reached not only 600 saves, but also tied Trevor Hoffman’s all-time saves record. Of coure, Rivera was already the greatest closer ever, but it was nice to reflect on his amazing career. Even if you question the meaning of the “save”…. We don’t need to tell you Vin Scully is awesome, even if we find his call of Koufax’s perfect game a tad overwrought, Here, Vin remembers his greatest calls, many of which include the original audio. In other sporting news, was this year’s U.S. Open a pivotal moment in tennis history? Aziz Ansari likes food, and the New York Times is looking for a new food critic. Speaking of food, Dippin’ Dots candy? Really? And Chuck Klosterman analyzes college football’s most fascinating offenses. What is the best way to educate students? Comedians telling hilarious stories — except the one by Dane Cook. Tom Junod calls out Jon Stewart for, among other things, not being funny anymore. Michele Bachmann won’t stop lying. About midway through Season Eight of Curb Your Enthusiasm, I was worrying that the show was in the twilight of its run. 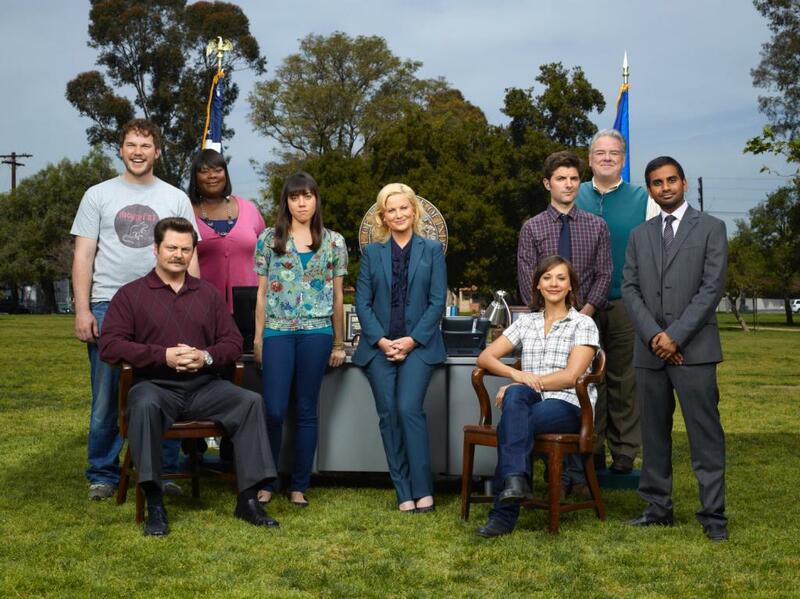 There wasn’t anything major wrong with the season, but it seemed like every episode had enough minor flaws—it was too long, one story was weaker than the rest, a crucial plot development didn’t make sense, etc.—to prevent the humor from really clicking like it does in the best episodes of the show. 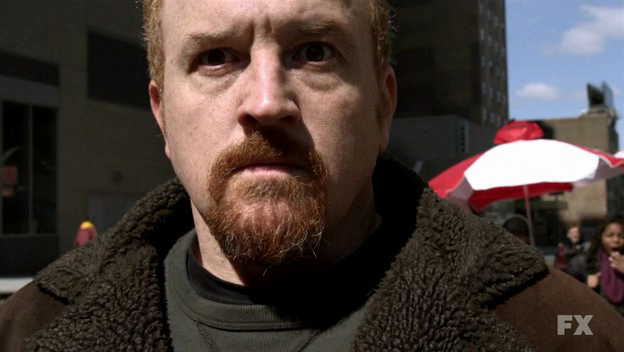 More generally, I wondered if airing at the same time as Louie was hurting my perception of the show. Both are shows about middle-aged, bald, single, misanthropic comedians who often have trouble relating to other people—and they both aired during the summer, when there are only a few comedies airing—so it was inevitable that I would be comparing the two. And the comparison was not working in Curb’s favor. In weeks where Louie was airing such memorable episodes as “Oh Louie/Tickets” and “Come on, God,” Curb was airing uninspired efforts like “Vow of Silence” and “The Hero.” I even started to wonder if Louie was making Curb redundant.